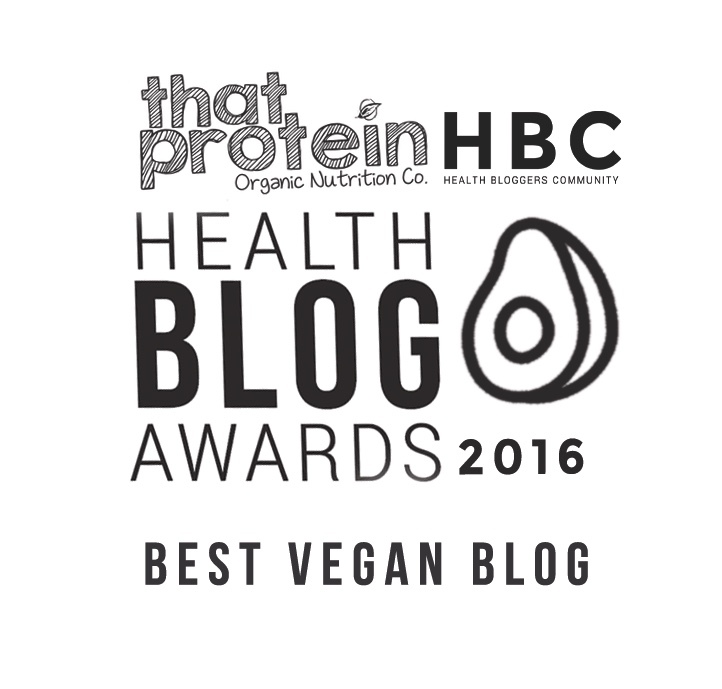 Hasselback potatoes are the tastier, prettier sibling of the plain old jacket potato. 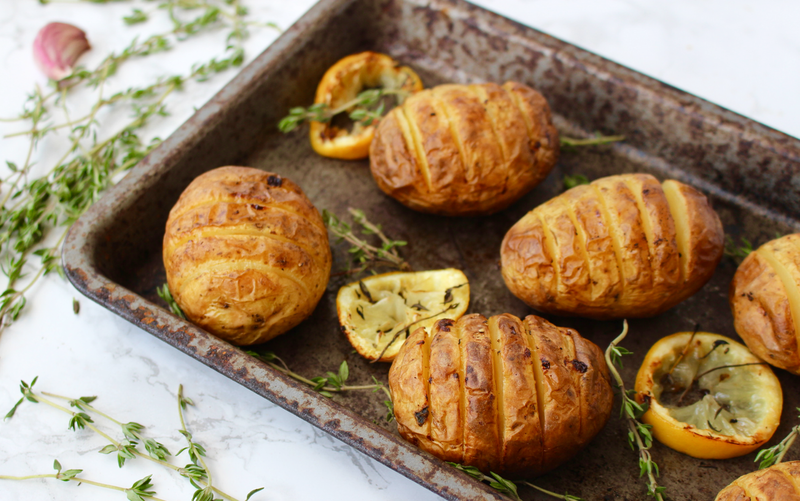 Jacker potatoes are great but let's face it, they can be a little bit 'samey', whereas hasselback potatoes are deliciously flavoursome, have a wonderful texture and are far more interested to look at! 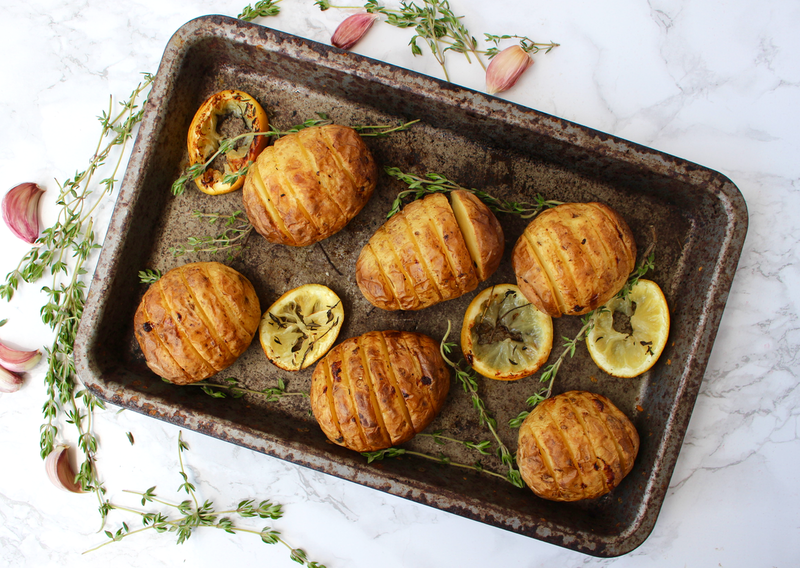 The recipe for these lemon, garlic and thyme hasselback potatoes is a new favourite of mine and a real crowd-pleaser. 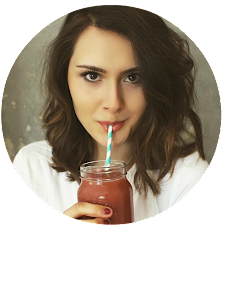 I made these potatoes for my whole family and they loved them, so I'm excited for you to try them out too! 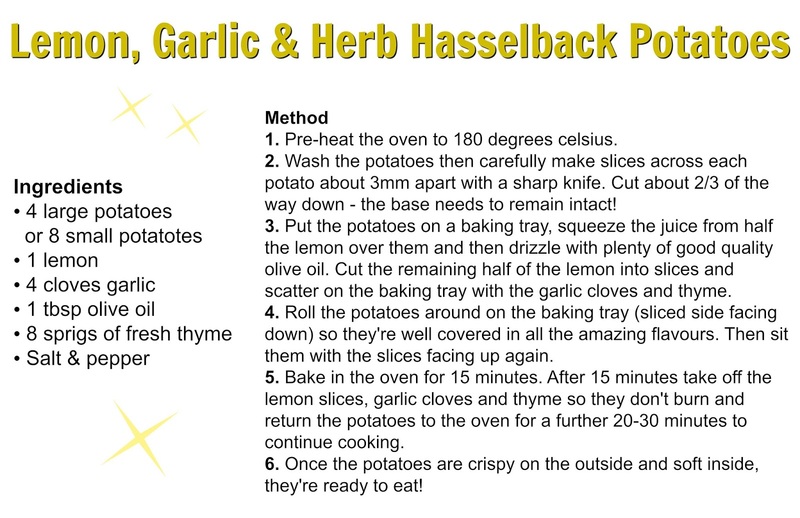 The recipe for these scrumptious hasselback potatoes is easy to follow, easy to make and tastes amazing. Before cooking the potatoes you cut deep slices across the top, drizzle with good quality olive oil and lemon, then scatter fresh thyme and garlic on top to create a delicious flavour combination that goes perfectly with avocado, salad, poached eggs, baked fish, steamed veggies, etc. These potatoes go beautiful crisp in the oven yet are soft and fluffy on the inside, and the slices in them ensure that all the flavours seep deep into the potatoes so every bite is full of garlicky, lemony, herby goodness! I also advise using a really good quality extra virgin olive oil in this recipe as it creates such a wonderful taste and adds something special to these potatoes. I've attached Jamie Oliver's new 'The Buyer's Guide To Olive Oil' below which has been beautifully crafted and features cooking suggestions, a how to guide to professional tasting and facts on where your olive oil is sourced from. Super helpful!